Racing is sure one of the most popular sports, where an individual has to complete a particular task in the shortest amount of time possible. It’s all about impeccable timing in racing, and without which one cannot triumph in it. Auto racing, which is one of the most prominent types of racing, involves a racing competition between automobiles. Under which you have several categories such as touring car racing, sports car racing, stock car racing, open-wheel racing and others. 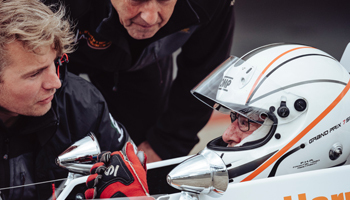 If you are a passionate driver who wants to triumph in the field of racing, then have a look at these comprehensive racing tips, which will indeed benefit you. Your hand positions are extremely vital, and for a sport such as racing, it can potentially make a lot of difference. Your hand positions are extremely vital, and for a sport such as racing, it can potentially make a lot of difference. Holding the wheel at the 9 and 3 position is known to be the ideal one and has been followed by several top-class race drivers. It seems to be the hardest one to get used to, but with practice, it becomes much simpler and extremely beneficial. By holding the wheel at the 9 and 3 position, you get to exactly mirror the wheel’s position, in turn helping you not to lose track at any point in time. But if it’s your first time driving on a track, then make sure that you practice this well in advance and not directly on the track. This position although highly beneficial, requires a lot of time, practice and hard work to perfect it. Yes, while applying brakes, make sure you don’t lock your tyres, as that could easily wear them out. Loud noises from your tyres are a clear indication of a lock condition, and one can avoid that by applying the minimum amount of steering angle. Steering angle is known as the angle between the front sides of your vehicle and the steered wheel direction and plays a crucial role while driving. High-quality, durable protection gears are a must, and one must never compromise with that. From your helmet to your racing suits, make sure that it is highly durable, sturdy and without any defect. Every racer needs to possess these two skills, which will indeed take them places. It is always helpful to follow and observe co racers, in order to identify whether you are going too fast or too slow. Although, make sure that you don’t lose concentration while observing and following. The most difficult part of racing is cutting through corners, as it significantly reduces a driver’s speed and at times resulting in a crash. Thus understanding, which corner to go through and which one not to is very important and could make or break your winning deal. Your end goal is what is significant in a race, thus keeping that in mind, make sure that you go through exit corners that will lead you to a straighter path, helping you gain more speed and momentum. 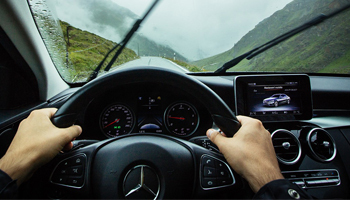 Momentum and balance are two major things while driving, and one needs to make sure that they maintain that throughout in order to stay on track. Grip helps a driver to significantly speed up, turn corners and even stop and without which driving becomes a bit hard. Grip is solely dependent on two main factors, one is the amount of weight that is acting on the wheel and the other is the surface of the track. Thus, by having a close watch on these two, you could significantly increase your grip and drive even faster. Yes, more than speed and aggression, what matters the most is the art of smooth driving, which can be perfected over time. Maintaining proper hand positions, using the brakes at appropriate times and applying the accelerator smoothly are all major factors for a smooth and a powerful drive. Make sure you keep the above mentioned tips in mind and slay the racing field in style.